If you’re in need of commercial waste removal in Epping CM16 then look no further because we’re here and we’re ready to help. 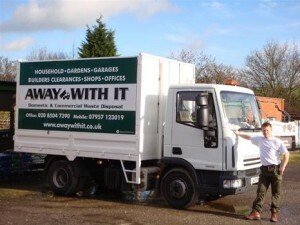 We’ve been supplying commercial waste removal Epping businesses trust and happily recommend for getting on for fifteen years. They love our service for reliability and flexibility and like them we’re sure you’ll love our competitive prices too. Our clients can depend upon us to provide tailor-made services to suit their individual business needs. We know how tricky it is to work within a budget so we work hard to deliver the most cost effective business waste removal solution for each and every one of them. We work for a diverse group of businesses in Epping CM16 removing all of their commercial waste and leaving their premises clean, swept and ship shape. Our smart, professional teams don’t leave your premises until you are happy – after all, if our valued clients are happy that makes us happy too. Letting agencies: our commercial waste removal service in Epping CM16 includes removing old or broken furniture and fittings. 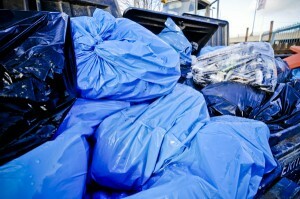 80% of the business waste we collect is re-used or recycled. To talk to a member of our experienced team about your requirements for commercial waste removal Epping give us a call on 0208 504 7390 or 07597 123019. 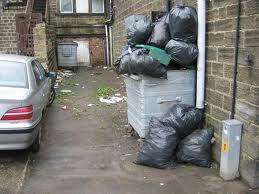 They will be more than happy to put together a package to meet your needs and supply a free, no obligation quote. Or you can request a quote using our simple online form and we will get back to you the same day.